The idea sounds marvellous. But according to sociologist Damian Thompson, cyber age has rendered all claims to knowledge as equally valid. In Counterknowledge, he writes the new technology’s egalitarianism leads to the tyranny of those websites and gurus that are most skilled at presentation. Once hierarchies of expertise are levelled, truth is trampled. Counterknowledge is a short attack on bogus science, paranoia and pseudo-history that seems to recruit millions. Thompson’s targets are alternative medicine and pop nutrition theories. There are reasons other than the Internet that crackpot theories seem so compelling. 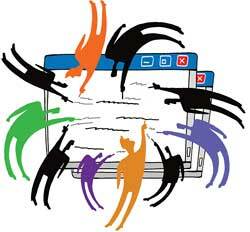 Thompson argues social changes in the past few decades have created a new sense of disorientation for the individual. The decline of traditional social institutions such as marriage, church and political parties have loosened the social bonds. People feel a greater pressure to develop their own meanings. Thompson’s case studies draw on a wide range of research—testified by more than 200 footnote references. 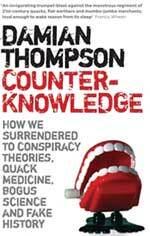 But when Thompson is not on a roll, Counter-knowledge struggles under its own weight. The first 25 pages have a messy explanation of counterknowledge. To begin with, Thompson describes counterknowledge as any idea that fails “basic empirical tests”. Religion, we are told, does not fit the bill because its claims are untestable. But “Creationism”, “Intelligent Design” and “Bible Prophecy” fit because they all make claims that fail “basic empirical tests”. But 10 pages later, Thompson points out “Intelligent Design” is “untestable”. There are times when Thompson over-eggs his pudding. He castigates parents who refused to inoculate their children with the triple mmr vaccine. Easy to say in 2009; not so clear in 1999, when testimony abounded from parents whose healthy children never recovered after the jab. Hindsight can be wonderful.